My brother told me that they’re expecting upwards of 80,000 people in Cooperstown this weekend. The population here is usually around 2,000. That’s an eight plus four zeros. If you’re coming because you want to see Bobby Cox, Tom Glavine, Tony La Russa, Greg Maddux, Frank Thomas, and Joe Torre all inducted into the Baseball Hall of Fame, you’re here on the right weekend. I remember when they used to hold the ceremonies downtown. The little park next to the Baseball Hall of Fame would be so jam-packed full of people that they would spill out onto Main Street, and Church Street, and Fair Street. They used to hold the ceremonies on the steps of this building. Back in those days, the Hall of Famers freely roamed the streets wearing a ribbon that marked them as a Hall of Famer. Autographs were free, and many felt honored to be asked. 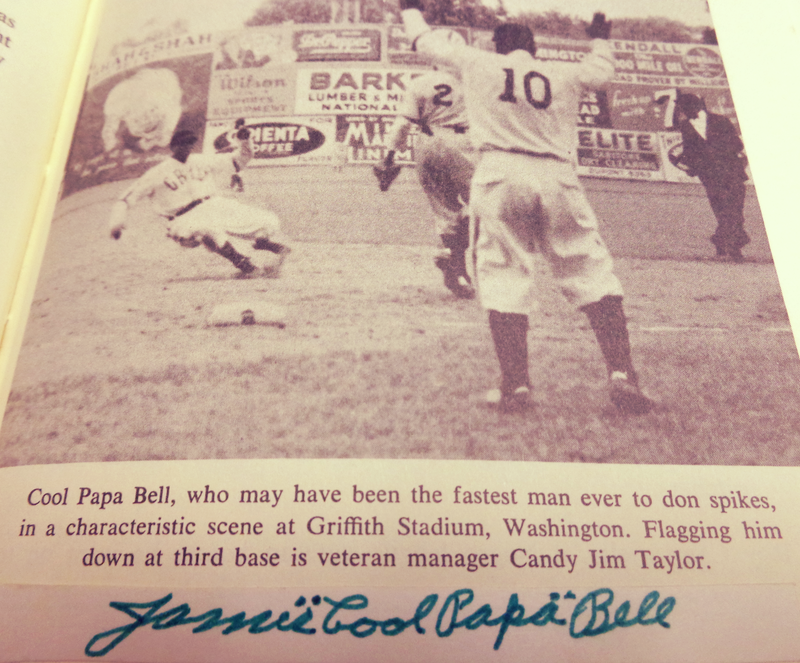 Cool Papa Bell won my heart with a smile and a signed strip of paper. My father saved one of those strips by gluing it into a book. A number of years ago, though, they moved the ceremony to a field beside the sports center where I work. It holds a lot more people. But 80,000? I guarantee this crowd will spill over Susquehanna Ave and down Brooklyn Ave, where we used to live. So if you’re here because you want to hear the speeches and see some baseball heroes on a Jumbotron, you’re in the right place. This year, with 80,000 people making their way to Cooperstown, I want to talk to the ones who are the tag-alongs, who aren’t here because of baseball, but because they heard Cooperstown was a charming quaint little town. To you I want to say, please don’t judge Cooperstown by this weekend. The people who make Cooperstown Cooperstown are far out-numbered for these few days. The quaintness that is Cooperstown will be virtually non-existent this weekend. Come back in January, when the air is crisp and cold. Parking will be plentiful on Main Street. The beautiful decorations from Christmas may still be up. You won’t have to wait in line at Stagecoach Coffee to get a cuppa. The doughnuts will be hot, crisp, and fresh out of the fryer at the bakery. If you go to the Hall of Fame, you’ll be able to stand in the Hall of Fame gallery and read every word on every plaque. In fact, it will be so quiet in there, that you’ll feel the need to whisper. And you’ll see the locals — the ones that are hightailing it out of town even as I write these words — greeting each other on Main Street, because everybody knows everybody. That’s the blessing of a small town. If you don’t want to wait until January, pick a small town near you, one with a population under 2,000. Go sit on a park bench or in the local coffee shop. Watch the people. They clap each other on the shoulder when they meet. They ask about family — spouses, children, parents, grandkids, even the dog. They laugh and reminisce. They talk shop and they even talk baseball sometimes. But if you’re a crowds-and-baseball kind of person, come on down. Be part of the 80,000. 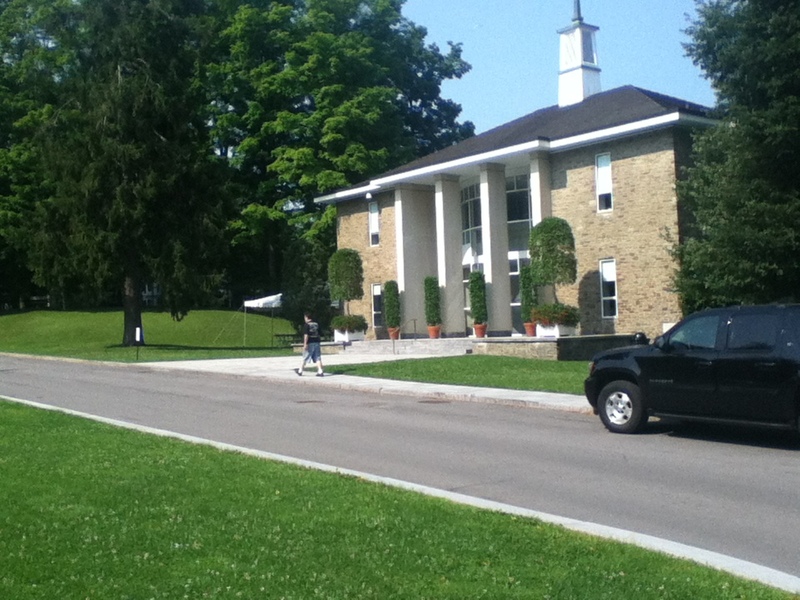 I’d love to see Cooperstown sometime… when it’s quieter! Sally, it was peaceful when we were there, maybe 19 yrs ago!